On April 1st 2019, Justin Trudeau’s government initiated carbon pricing in an effort to place a price on pollution and address climate change. From that moment onward, there has been nothing but chaos and misinformation regarding this tax and how it will kill jobs and actually destroy the world, especially if you vote Conservative. While I am not a huge fan of the Trudeau government, I do agree that putting a price on carbon is part of the complex solution needed in order to address climate change. If you have been following the Trudeau government over the past four years, you will notice a trend with the Prime Minister when it comes to apologizing for pretty much anything the government has been guilty of both recently and in the past (The SNC-Lavalin case as the only exception of course). So the implementation of carbon pricing under his government actually makes sense, how else do you address an issue and apologize to the planet at the same time? 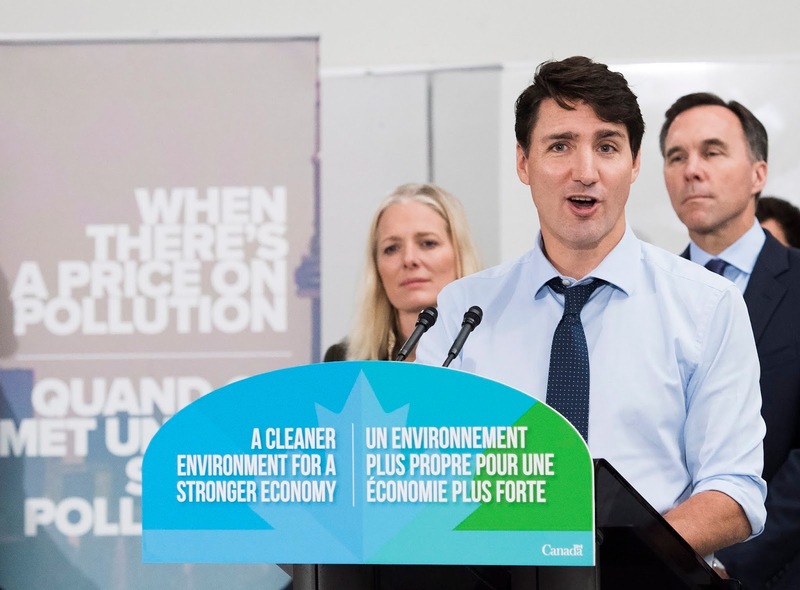 The carbon tax has become such a contentious and divisive topic, that it will most likely dominate the upcoming federal election in October. On the right, Conservatives argue that the tax is unfair and ineffective, all the while offering no actual alternative themselves. Further left, there are voices that believe the current proposed tax is in fact not enough, as climate change has reached an all new level of dangerous and requires more drastic action. While Andrew Scheer and many Conservative governments on the provincial level draw a line in the sand in opposition to Trudeau, they suffer from inevitable failure. Since the 1970’s, when the greenhouse effect was introduced to the scientific community, there was an understanding that human actions continued to affect the world around us directly. With this, many lines were drawn in the sand and every time a new line was created, it was not long after that we decided to cross it for whatever reason, be it economic, social or political. Countries like the United States and Canada were able to develop to an advanced state, by crossing this very line, but where does that leave developing countries that now wish to also develop for their citizens? I am not going to sell you on climate change, since there is nothing to argue, it is real and it is happening right before our eyes. When the storm of the century, which brings rains that flood your home and neighborhood alike, happens every decade, our eyes should begin to open. What happens when something like this happens every year instead of every hundred? More importantly, what happens when food prices skyrocket because our agricultural sectors experience crop failure or unusually severe drought? Anyone with half a brain cell knows that you need to have a strategy in order to address possible outcomes, but as the business community and political right will proudly profess, there is no such thing as a free lunch, unless you’re promising to create jobs. To think that governments on the left are proposing this tax, should not only fortify the importance of the cause, but also highlight the severity of the situation. Consider this, left leaning government’s traditionally place a focus on the middle class and vulnerable groups while determining legislation. 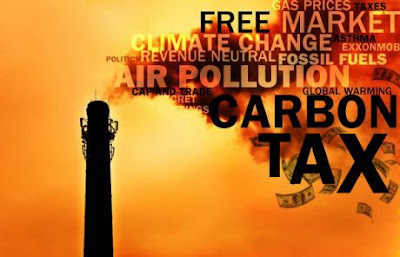 A carbon tax may inconvenience the rich within society and place pressure on medium and small sized business, but it will devastate the poor. Those living with less than $20 after paying their bills may now lose another 10% to 20%, if not more of what remains due to business passing the burden to the consumer. Whether you like it or not, things are going to get more expensive with a carbon tax or without. Take food prices in recent years as a prime example: California and Mexico experience a long drought or gas prices explode like they usually do in the summer months and people end up paying $9.00 for a head of cauliflower. In 2018, the Insurance Board of Canada reported that we spent $1.9 billion in damages related to climate change. I have included a link to the report at the end of this entry. If you are in your late 20’s or a 30 something like I am, your friends are getting married and are having children. Any child below the age of 5 years old at the moment will be in their 30’s when we pass the point of no return. While their parents along with you and I will be in our 50’s & 60’s. We will be in a vulnerable state and their lives will be changed forever, all because people were too comfortable to act. What will our explanation be to them? The federal government has been in talks with the provinces since 2016 in order to allow enough time for provincial systems to be created. 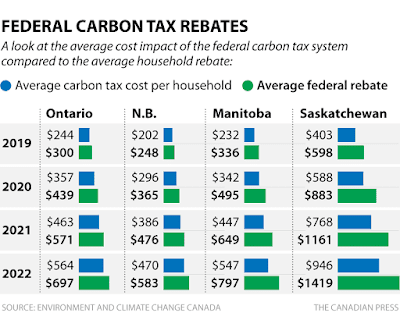 What better way to price carbon based on your individual province than to actually allow the governments in power of those provinces to act? Failure to establish a system by the deadline would mean that the federal default plan would kick in. This is why on April 1st; Ontario, Saskatchewan, Manitoba & New Brunswick were affected by the plan. Everyone else already had a system in place. In Ontario for example, the previous Liberal government enacted a cap & trade system that would have satisfied this requirement; unfortunately, this was removed by the recently elected Conservative government. This action not only put a standstill on carbon credits that the province would have received back, but has led to more taxpayer money being used in court to fight any federal involvement with the default plan that now kicks in. In Alberta, this takes an even more sinister twist with the newly elected United Conservative Party (UCP). Not only are they going to spend tax payer money to fight the federal plan and dismantle the carbon plan introduced by the NDP, they are also going to initiate their own carbon pricing on large oil companies in order to fund the War Room, an initiative aimed at promoting the oil sands at all costs and defending oil extraction from any other media source. So while the federal government has been fair in allowing the provinces to enact their own custom tailored system, the opposition has gained ground by claiming that the federal government is forcing this upon everyone, like an unruly dictator bent on raising taxes. Meanwhile, this same opposition is using tax payer money in a wasted effort to either fight the government or worse promote billion dollar oil companies and the utility of their practice, all with tax payer money, that’s right, your money!!!! Back to Justin Trudeau though, as the whole idea behind this carbon pricing or cap and trade initiative is a simple one. We need money to not only invest in new technology, but also influence people to act. The government can promote green incentives until they are blue in the face, but many companies will simply not care or listen. 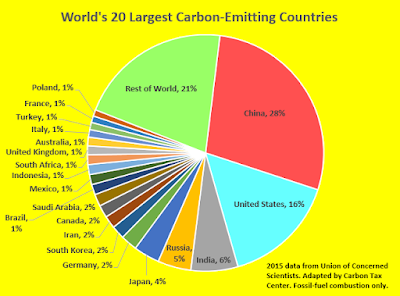 With carbon pricing, there is a direct and effective system in place that makes them listen and rewards people for choosing greener alternatives that will help. An average family of four will also receive around $307, which in reality, will not balance out compared to many of the increases that companies will most likely attach to their products. Have you ever heard of a company that purposefully reduces their prices, just because their costs drop? Sale pricing aside, many companies, especially in the fossil fuel industry play along the lines of: Up like a rocket, down like a feather. Much like the HST with Stephen Harper, Canadians will most likely not receive as much money back as promised, but will benefit in many indirect ways, especially with new technology resulting in better products and yes…new sectors of employment. Looking at the philosophy behind political movements and governments, I always tend to revert back to Plato and the allegory of the cave. Whether you like it or not, society is a human creation that is not found in the natural world. Our ideas and our creations are often seen as a combative force against nature, which is why in the past, industrialization, has been legitimized in an effort to create economies and employment. With climate change, our society becomes like a puzzle on a table. Each piece is balanced and shifting based on how our communities and governments change, but inevitably, we are sitting on a foundation that is slowly eroding. Would you rather our governments remain proactive, so that we can lessen the erosion or should ignorance guide us until the table is swept from beneath our feet? Please feel free to share this and please let me know how you feel about the carbon tax. People deserve much better from their elected officials and while it is easy to complain, a carbon tax will do something as opposed to proposing to continue doing nothing. A political party should never get away with offering complaints as a platform with no real alternative, you deserve better, our planet deserves better and more importantly our future deserves better.